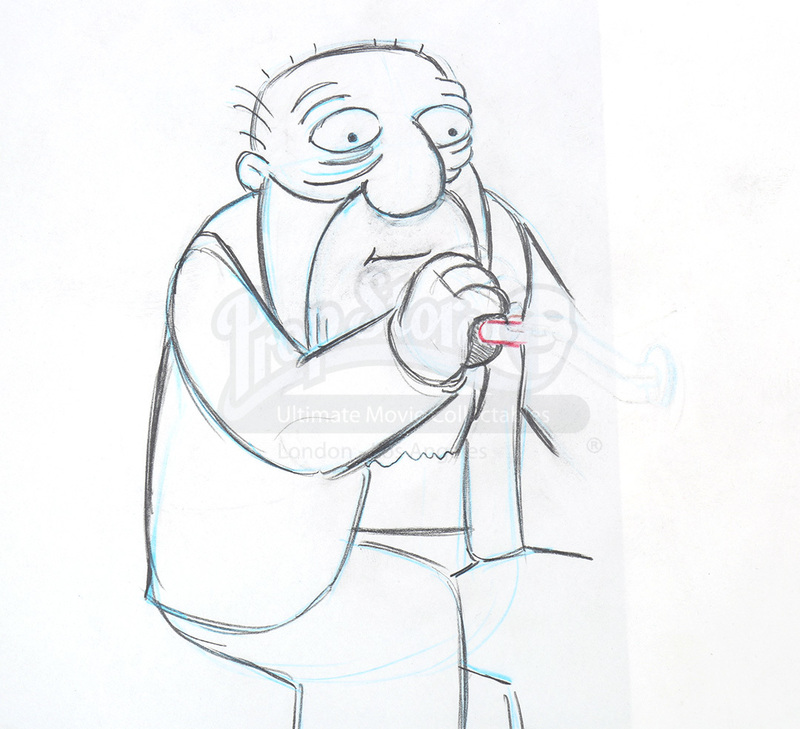 A set of original pieces of hand-drawn artwork from the hit comedy cartoon show The Simpsons. 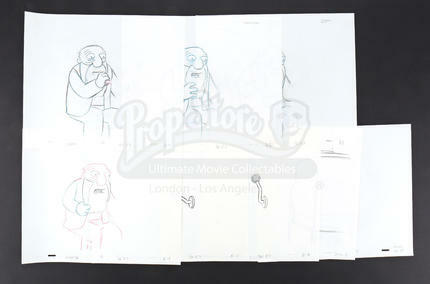 These eight pages were created in the early stages of animation with all the original circles and lines to help get the right shapes, and show Jasper in various poses. 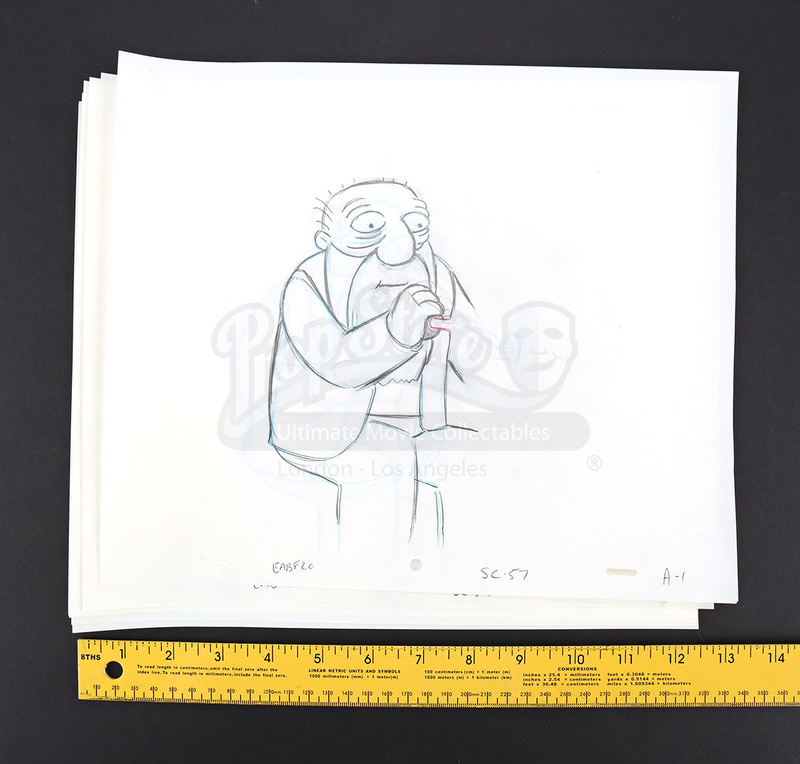 According to the production code handwritten at the bottom, the sketches were made for the season 15 episode "The President Wore Pearls." 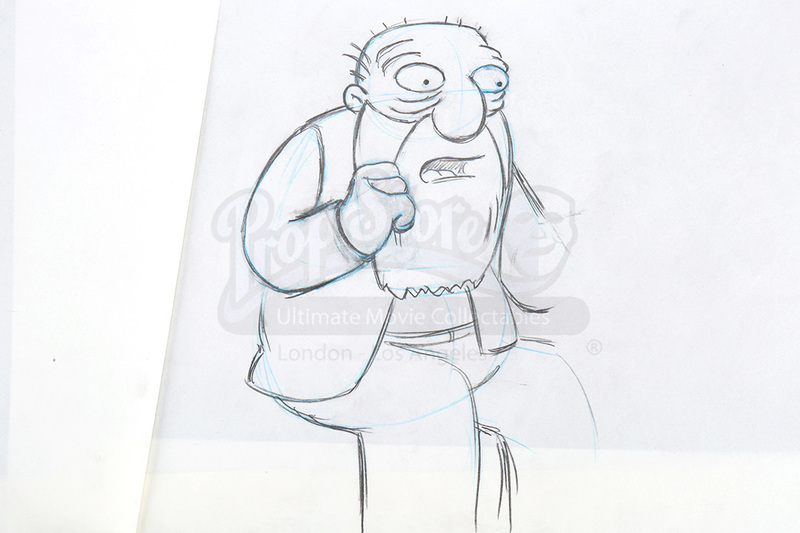 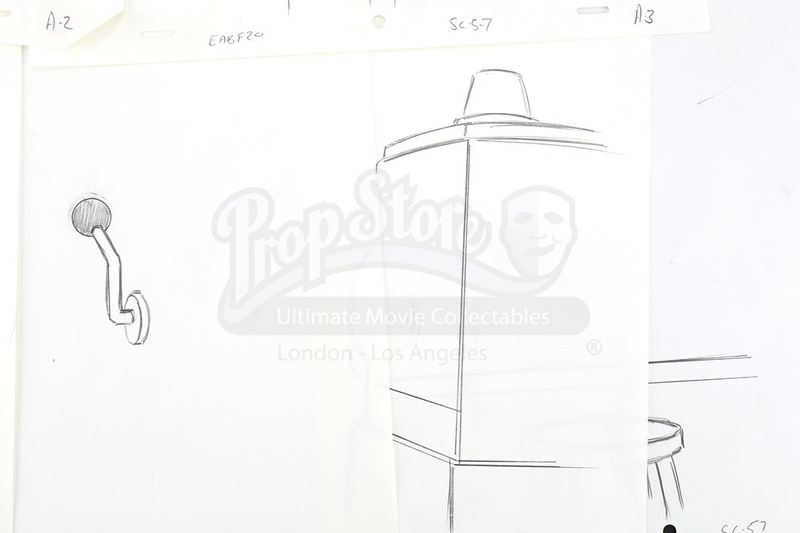 They have been drawn by hand in pencil on specially created animation paper which have elongated holes punched along the bottom to ensure they were held securely and didn’t slip during the animation process.